An international team of scientists from the Monash University (Melbourne, Australia), the Towson and Pittsburgh Universities (USA) and the Max Planck Institute for Astrophysics, has shed new light on the origins of the famous Tycho's supernova. The research, published in Nature Astronomy, debunks the common view that Tycho's supernova originated from a white dwarf, which had been slowly accreting matter from its companion in a binary system. 445 years ago, Tycho Brahe observed a stella nova ("new star") in the night sky. Brighter than Venus when it first appeared, it faded over the following year. Today, we know that Tycho had observed a nuclear disruption of a white dwarf – a type Ia supernova. 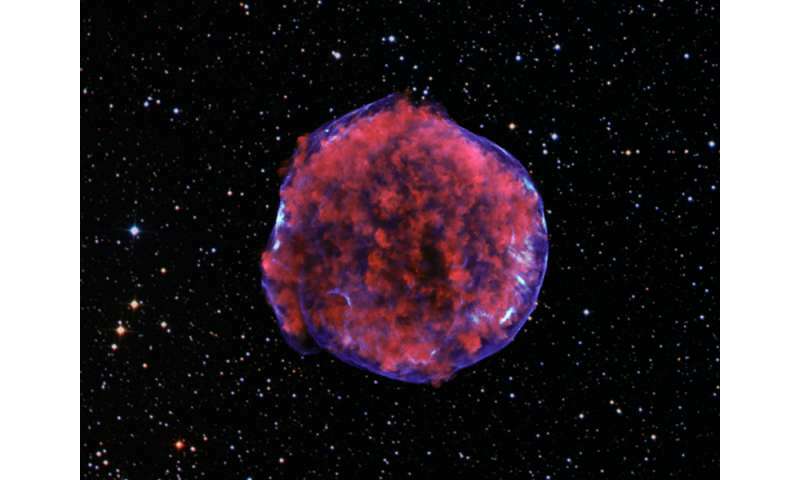 Due to its history and relative proximity to Earth, Tycho's supernova is one of the most well-documented examples of a Type Ia supernova. If I am understanding this article as posted, collated with my (limited) knowledge of astrophysics, brings me to a couple of speculations. That a major event, novae or super-nova may not be a terminal finality for a star. That, over periods of millions of years or a magnitude or two thereof, is it possible that many of these explosive events are cyclic? While a portion of mass is blown away. Most of the stellar material would collapse back down into the originating star or it's partner? During these collapses transmuting light elements to heavier elements into the heaviest of naturally produced elements? 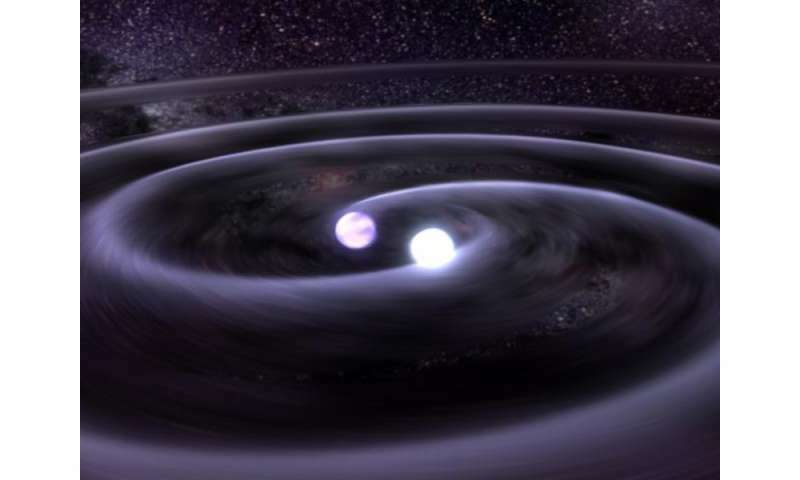 That the most massive stars, still existing after a super-nova, evolve into neutron stars? Would there be the possibility that the collision/combining of two such exotic stellar objects result in ...I'm not sure what to call such a titanic event. What would be greater than a super-nova? Perhaps afflicting Space/Time to the extreme of creating a Black-Hole? The accretive type are. There's no reason to think the collision model would be. While a portion of mass is blown away. Most of the stellar material would collapse back down into the originating star or it's partner? 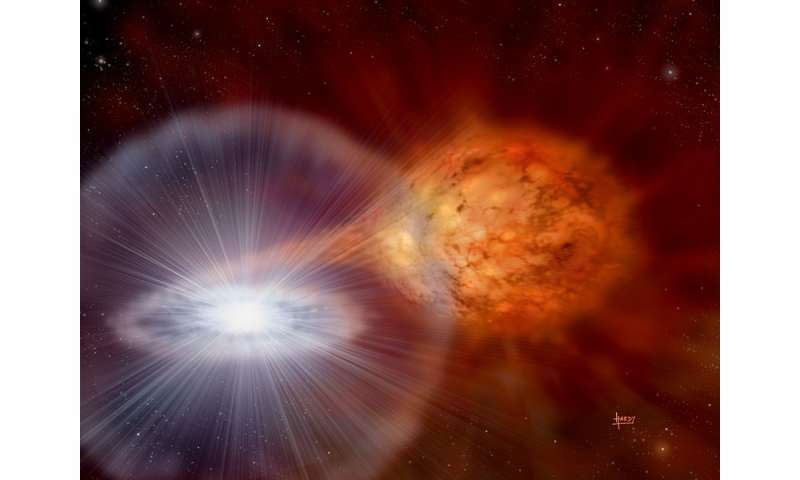 When white dwarfs collide, one of two things can happen: if the combined masses is greater than 140% of the Sun, the collision creates a supernova. In the other case, the white dwarfs will actually reignite nuclear fusion, creating a new star, eg. SDSS J010657.39–100003.3. During these collapses transmuting light elements to heavier elements into the heaviest of naturally produced elements? Only in the SN scenario. The rest can't happen or it wouldn't have been a white dwarf in the first place. This should give you a pretty good idea of the difference between novae and supernovae. Interesting article. Pretty good evidence for the white dwarf collision scenario here. This is curious, because a companion star has been detected, Tycho G, a G2 similar to our sun. Because of this, previous to now this was believed to be an accretion supernova. Tycho G was discovered in 2004. I'll be interested to see how this shakes out.